WD’s HelioSeal allows for higher capacity drives in the same form factor while improving overall drive performance and reliability. In the pursuit of data redundancy and backups, the argument for more space is always a compelling one. However, not everybody has space, both physical and digital to backup everything. Western Digital has been offering its Red family of hard drives for home and small business NAS units and with its latest offering of a whopping 10TB in a single 3.5-inch drive. It’s easy to see the appeal of having a set of large capacity hard drives in a two, three or four bay NAS. Added to that are a series of NAS-specific features that make it a dependable as a backup solution for your home or small business network. 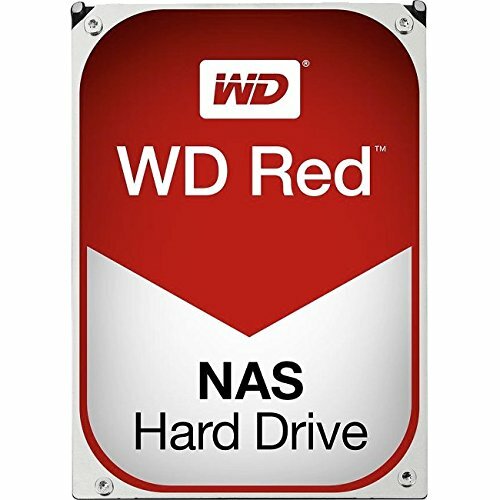 The combination of WD’s HelioSeal technology, the NASWare 3.0 firmware and 3D Active Balance Plus control technology allows for much longer lasting drives as these technologies reduce the energy consumption, heat and vibration of the hard drive, all without sacrificing NAS specific features. An ever-present, constantly active NAS with lower risk of failure will help put your mind at ease. The drives come with a three year warranty as well to allay any fears users might have. Due to the large capacity of a single WD Red hard drive, it’s incredibly easy to setup a RAID with data redundancy. This means still having plenty of space for your data despite running a mirrored RAID setup. Moreover, its exclusive NASware technology improves NAS storage performance by addressing issues such as compatibility, reliability, noise and vibration as well as error recovery controls. This allows for optimal performance without compromising attributes that NAS owners value.